Buying or selling a home can be stressful. Call on us and we will listen to you, so that we can identify your particular needs and concerns. Let us take the worry and stress off of you, as we handle the many details of the buying or selling process . 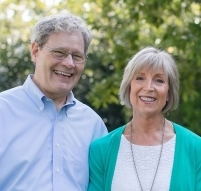 Mike and Liz have a total of 28 years real estate experience. Mike is also an attorney who has mediated and negotiated countless agreements, contracts and disputes. They offer their clients a unique blend of practical and professional experience. Liz has been a multi-million dollar producer for the past fifteen years and she and Mike work with sellers and buyers in all price ranges from first-time home buyers to multi-million dollar buyers, and even down sizing empty nesters. THIS GRACIOUS MOUNTAIN BROOK HOME IS SITUATED ON PRIVATE 2.66 ACRES OF BEAUTIFULLY LANDSCAPED AREAS INCLUDING EXPANSIVE LAWNS, STONE WALKWAYS & TERRACES, TONS OF FLOWERING TREES AND SHRUBS, AS WELL AS NATURAL ROCKS AND WOODED VIEWS. THERE ARE 4 BEDROOMS ON THE MAIN LEVEL INCLUDING ONE WITH PRIVATE ENTRANCE & BATH PERFECT FOR A HOME OFFICE OR NANNY QUARTERS! TWO BEDROOMS UP EACH WITH A PRIVATE BATH PLUS A BONUS ROOM MAKES UPSTAIRS PERFECT FOR KIDS! DOWNSTAIRS INCLUDES A HUGE DAYLIGHT PLAY/ REC ROOM PLUS A HALF BATH & BIG LAUNDRY ROOM. THE LIVING AREAS ON MAIN LEVEL FLOW ONTO THE STONE TERRACE AND THE BIG SCREENED PORCH ALL PERFECT FOR ENTERTAINING AND ENJOYING THE PRIVACY AND WINTER VIEW OR WOODED VUEW IN THE SUMMER. ALL THIS AT THE END IF A QUIET CUL DE SAC. WHAT A PERFECT FAMILY SANCTUARY! DON'T MISS SEEING THIS! !